Update from Sarah Jane, September 10, 2018: Public testimony in the Kavanaugh hearings ended Friday, September 7. There’s still time to call your Senators and ask them to vote no, so that’s what OTYCD is asking you to do. 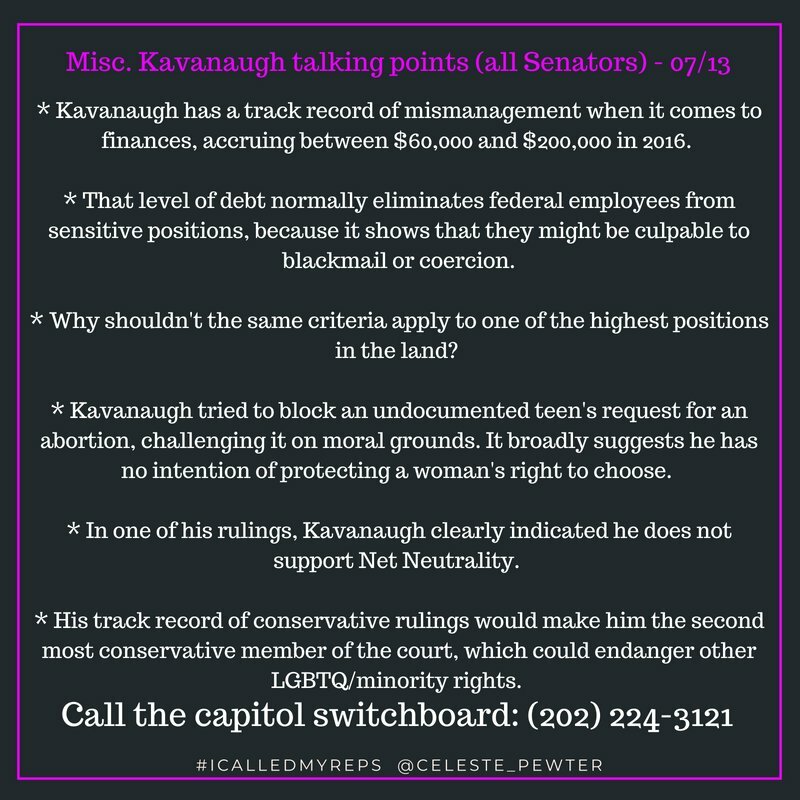 Here are additional ways to support Celeste Pewter, author of the black-backgroundedscript above.You can follow her on Twitter:@Celeste_PewterYou can call your Members of Congress (MoCs) and tweet about your experience usingthe #ICalledMyReps hashtag.